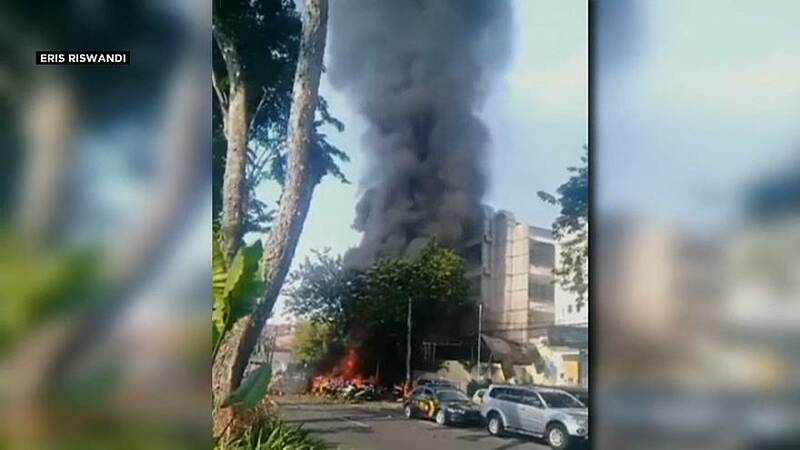 A family of six are behind a wave of blasts targeting three churches in Indonesia's second city of Surabaya. That's according to the police who say a mother and her two daughters, one of them a 9 year old, blew themselves up while the father and two sons targeted two other places of worship. At least 13 people were killed and dozens injured in the attacks. Indonesia's President, describes the attacks as "cowardly actions" after he visited the scenes. He also adds that they were "very barbaric and beyond the limit of humanity." Sunday's bombings are the deadliest in Indonesia since 2005. The so called Islamic State group claims responsibility. The Pope prayed for the victims and for the Christian community. "I am particularly close to the beloved people of Indonesia. I pray for all the victims and their relatives." Police say the family were among 500 Islamic State sympathizers who'd returned from Syria.